Figure 1. Jamie Brewer: First model with Down syndrome to walk at NYFW (MarieFranceAsia, 2015). The tangible excitement surrounding any major fashion week can be notably felt by fashion critics and lovers alike as they wait to see the leading designers’ interpretations of universal styles. However, during a previous New York Fashion Week the spotlight was equally shared between the voguish creations as well as the models who pranced around in them. They were bold, daring, beautiful and… disabled! The idea of a “fashion show” first originated in 1858 when Charles Frederick Worth, the first man to declare himself a fashion designer, started to present his elite clientele with a pre-developed range of authentic designs. However, a Parisian dame by the name of Lady Duff Gordon became the first to prime professional models. It is important to note that during the simple formative years of the runway, models were not exalted to the state of flawless goddesses with milky complexions, waterfalls of cascading golden locks and gracefully slim cat-like frames as traditionally seen today. Their aim was to allow the audience to identify with the designs and it was customary for them to not be exceptionally thinner or more attractive than the average woman. This begs the question – why were the “show” put in “fashion show” in the first place? Runways were created to awaken the consumer that lurks within each and every one of us. Fashion shows are held to create desire and ultimately pursued retailers to reach into the depths of their money pockets. There is nothing wrong with this basic principle in itself for this is how the industry continues to flourish. But, sadly, it is also accompanied by a very hush-hush technique where the garments are made to drape in such a manner to increase the mesmerizing effect in the eye of the beholder. The most proven way to do this is to design elongated garments – garments that will only fit a tall model with a drastically thin waist. To achieve such thin measurements one must often sacrifice a healthy body mass index. Naturally, this has started to set of health hazards and inspired designers are beginning to join the Body Image Movement. In a nutshell, this Body Image revolution are striving to redefine the ideals of beauty – to inspire a diversity of women with different shapes, sizes and colours to embrace their own healthy and natural bodies. Body shape plays a very dominant role in the fashion industry – an industry that is based on the relationship between humans and attire. The fashion industry must simply adapt to the evolving ideas about the “legendary” perfect body. Currently we are in the early stages of embracing change and the process has already proven to be tedious. This is rather ironic considering that modern fashion is based on rapid change and turn-over. However reluctant the industry may be, the importance of diversity cannot be overstated and if enough designers and consumers join the movement alike, change is bound to take place. That being said, we are finally ready to look at how designers have started to use diverse representation on the runways. 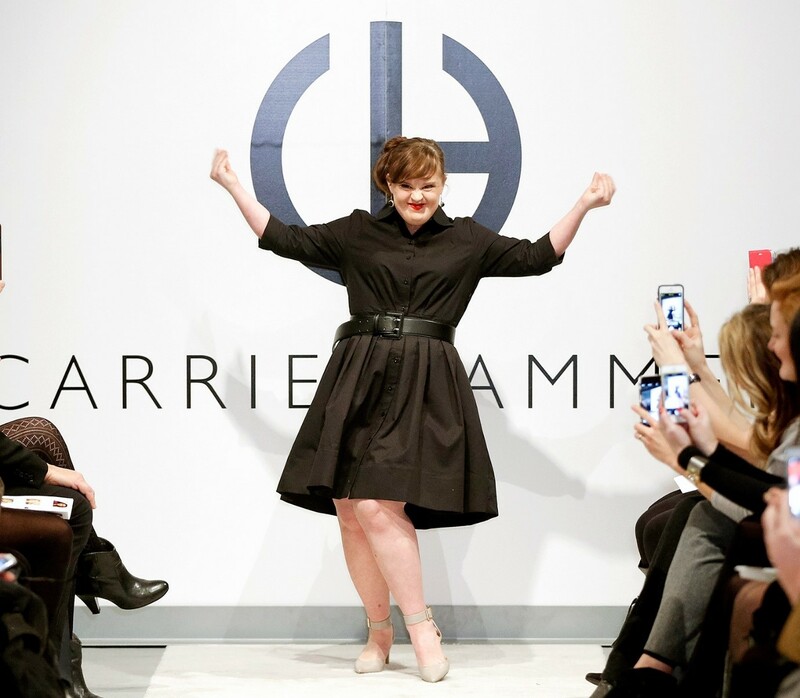 In February, 2015, Jamie Brewer became the first actress with Down syndrome to walk the runways at New York Fashion Week as part of designer, Carrie Hammer’s “Role Models Not Runway Models” fashion show. Afterwards Brewer has said that it is a true inspiration to be a role model for any young women and to encourage them to be who they are. 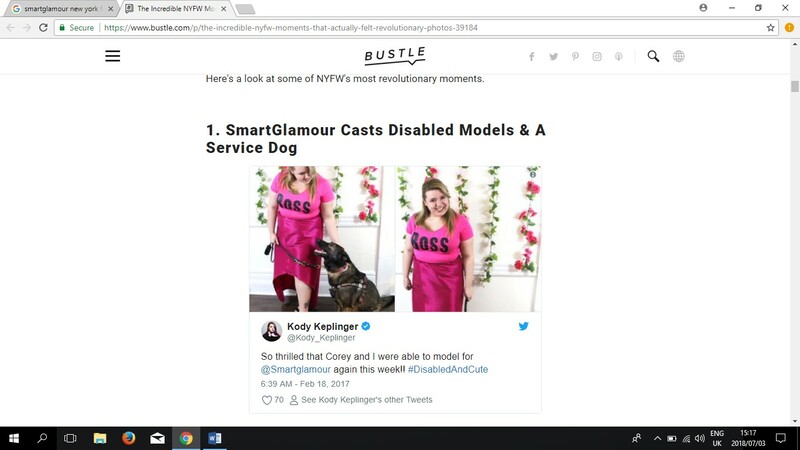 From the aforementioned examples of increased diversity and inclusive model casting one can only conclude that the fashion industry, armed with a pair of Jimmy Choo shoes, a few drops of Chanel N°5 and a fresh mentality with regards to representation are ready to venture into a game-changing future where body positive branding will be the norm. The ability to wear fashionable items and, to make a more basic statement, “clothes” is something that every person has in common. Why, therefore, shouldn’t our perfect imperfections be more accurately represented on the runways?